Tony’s is a celebrated pizzeria of Williamsburg, Brooklyn (NY), serving pizze since 1950. 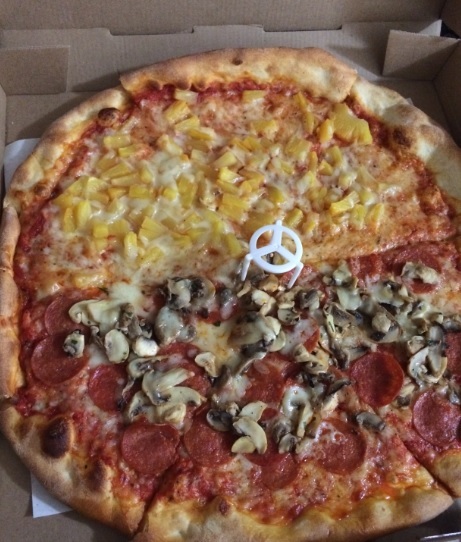 I sampled the pepperoni/mushroom pizza as well as another one ganished with bits of pineapple. Nicely baked crust, tasty pizza indeed. 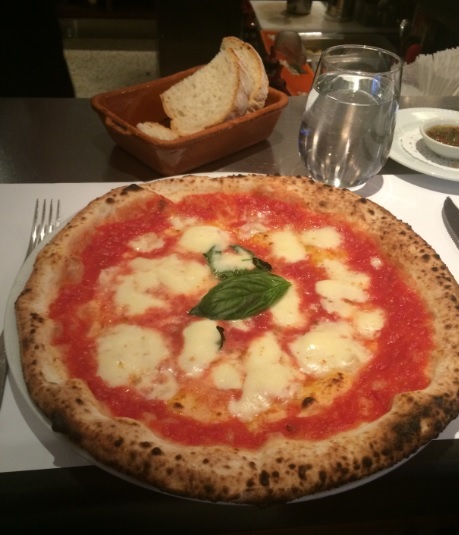 It is surprising how this pizzeria is delivering pizze almost as –if not ..MORE — satisfying than at some … who are investing tons of $$$ in sophisticated imported wood fired ovens (which Tony’s does not have). Hail to king Tony! Tony’s Pizza, Addr: 355 Graham Ave, Brooklyn, NY Phone: +1 718-384-8669 Food: 7.5/10 (very satisfying North American/Italian Pizza …some say Sicilian style, but I was in Sicily recently, and we would need a debate about that …;p) Ambience/Service: it is a laidback old school eatery, so not much in the way of ambience.